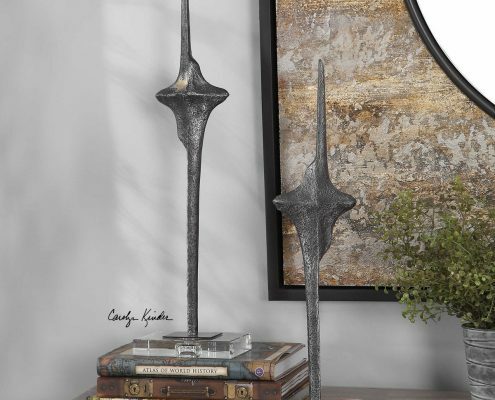 Modern cast iron sculptures finished in aged black with a light texture and distressing and an elegant crystal foot. 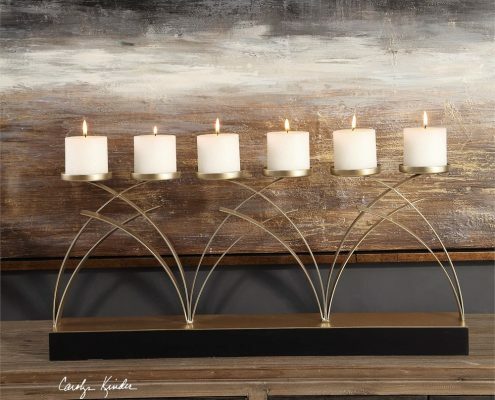 Set of two candle holders with dark bronze cylinder bodies and cast brass details accenting the tops. 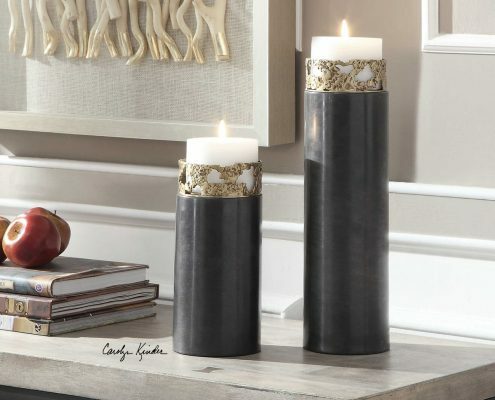 Two, 3"x 4" distressed white candles are included. 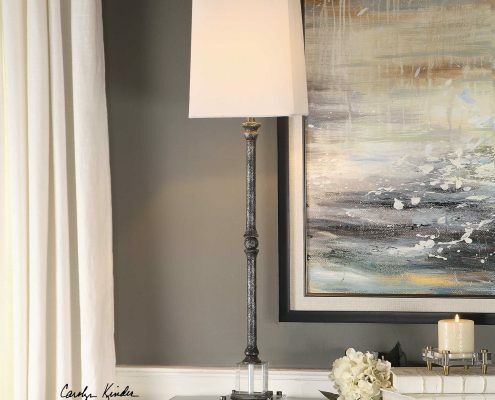 Designed by Carolyn Kinder International. 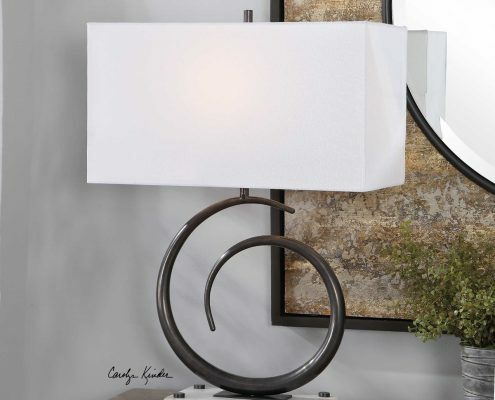 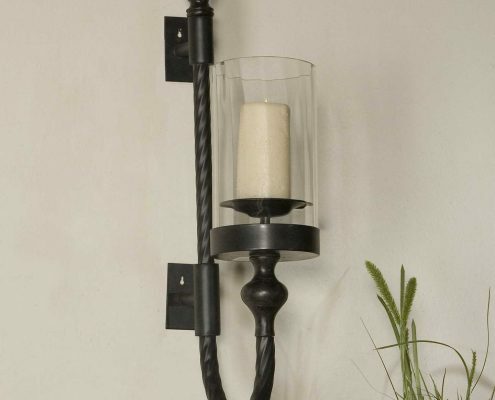 This table lamp blends modern style with a whimsical flair by featuring an oxidized dark bronze tapered iron swirl, displayed on a thick white marble foot. 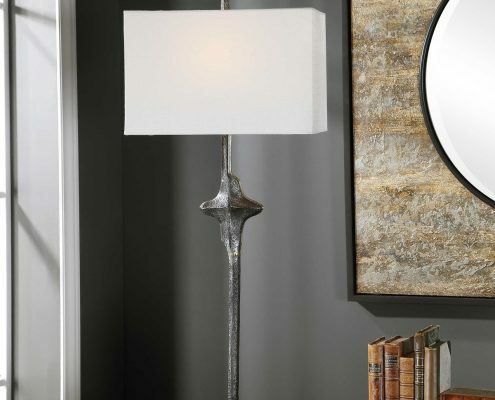 The rectangle hardback shade is a white linen fabric. 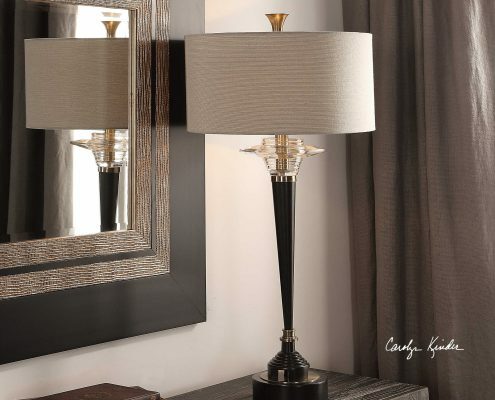 Make a statement with this modern table lamp design. 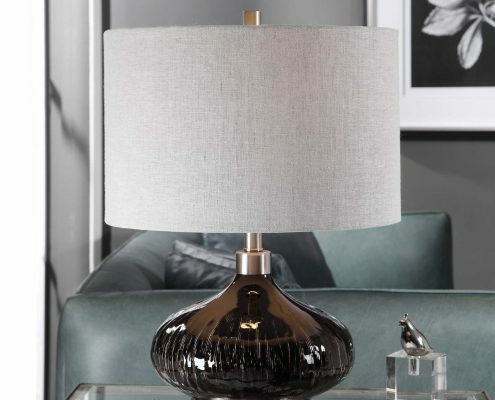 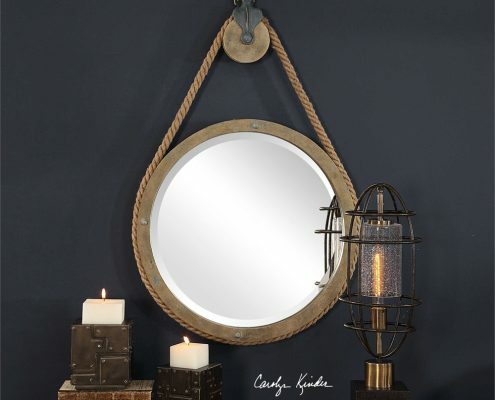 The cast iron base features a porous texture finished in an edgy aged-black steel with subtle gold infused highlights, displayed on a thick crystal foot.